Our story began in 1982, when FLUCON was founded in the Netherlands. What started with measuring oil and water soon developed into a company with different disciplines, such as the delivery of footfall systems (PFM Footfall Intelligence) and communication solutions (PFM Communication Intelligence). Everything we do at PFM is based on technology and innovation. 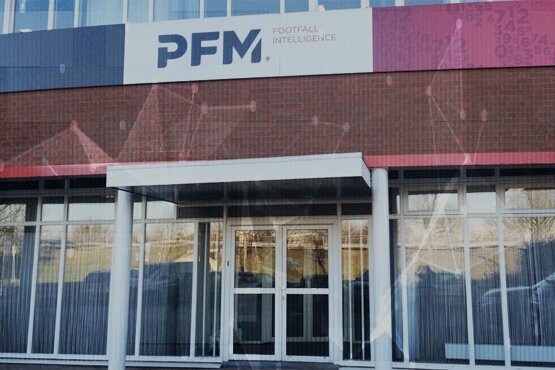 The Communication branch within the PFM Intelligence Group developed further when we were approached to be part of the implementation of the first McDrive in the Netherlands, the McDrive at McDonald's Huis ter Heide. Technical knowledge and experience are key requirements of the succes of such a project, which is why PFM was asked to be involved. It turned out the reason for the request came from members of the US Army who were stationed there at that time. Drive-Thru restaurants were already fully established in the US at that time, in the Netherlands this was still new. Since then we have provided many Drive-Thru restaurants of McDonalds with communication equipment. Soon after McDonalds other major fastfood chains such as KFC followed. It is our mission to deliver the most efficient and cost-effective communication solutions. We are Passionate, Flexible and a More then reliable business partner. It is our goal to become market leader in supplying quality communication solutions for fastfood, industry, healthcare and retail. We want to stay in front of the latest developments, remain a reliable partner to our clients in the development process and ensure we are the best in custom-made solutions. We ensure the best quality and high customer satisfaction with our service. We do this not only with the right products and technology, but also with our enthusiastic team! Each team member is a specialists in his or her field of expertise. We have expert knowledge gained from many years experience that enables us to provide the right solution for any request. HME is a company that designs, manufactures, sells and services specialized communications, audio and software solutions for a variety of niche markets. Acrelec provides the world’s largest restaurant and retail brands with hardware, software and services to reimagine the customer experience for the digital age.